(24 March) A Chinese tourist accused of molesting a ‘Coyote Girl’ was subsequently mob-beaten by a group of teenage gangsters in Sa Kaeo province. The incident reportedly took place at around 03.00 yesterday at Fusion nightclub in the Aranyapradesh district. Police arrived at the scene to find scattered chairs and tables and glasses in the nightclub, while Mr. 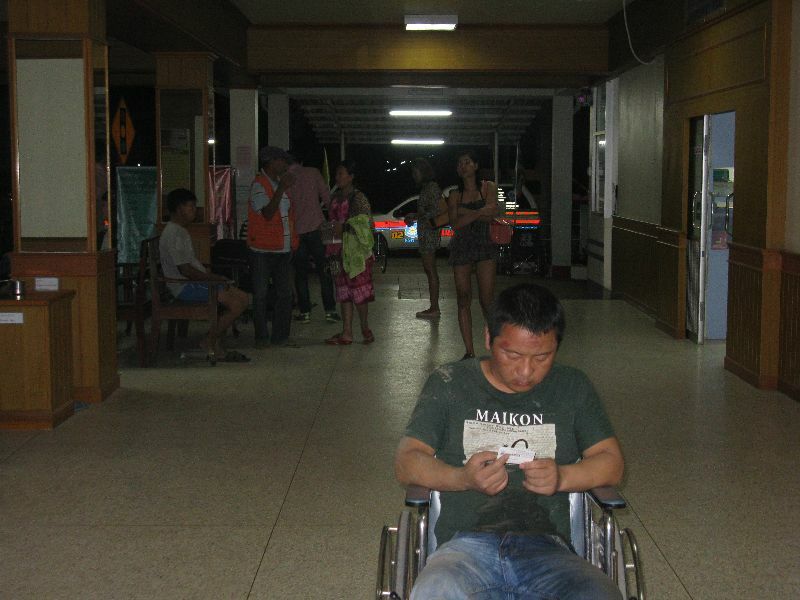 Au Kai Chuan (name transcribed from Thai text), a 36-year old Chinese tourist, was found unconscious on the floor. Mr. Au’s condition was described as severe and medical workers said he sustained multiple bruises. Witnesses told police a large group of teenagers were dancing in the establishment when a shout went up that someone has molested a “Coyote” (female dancer) of the nightclub, causing the teenagers to mob and beat Mr. Au. Coyote staff attempted to tell the assailants that Mr. Au was not the perpetrator, but the suspects refused to listen and proceeded to kick the Chinese tourist until he passed out. The suspects fled the scene shortly afterward. A senior police officer said the assailants belong to a local teenage gang who previously assaulted a police officer inside the same nightclub only a week earlier. Police said that they are currently looking for 7 suspects in connection with the assault on Mr. Au. Thailand – GREAT NEWS, the young Chinese, like Phuket, more than Chiang Mai! Phuket has been voted the Number One top destination for Chinese students. It was one of six awards won by the exotic South Thailand resort island in the annual ceremony organised by China’s largest online travel agent (OTA), Ctrip.com, and one of nine awards won by Thai destinations in total. Chiang Mai did not scoop any awards, although Bangkok took the best cultural destination. The“Ctrip Best Tourist Destination of the Year 2013 Awards Ceremony” was held on 28 February, 2014, in Shanghai. It was attended by over 40 representatives of national tourism offices (NTOs) from outside China, 58 representatives of NTOs in China, and numerous other senior executives of the Chinese travel and tourism industry and media. The Ctrip Best Tourist Destination of the Year Awards were initiated in 2009 to rank the popularity of tourist cities, both within China and abroad. The 2013 results were based on votes cast by about 3 million Chinese travellers via all social media channels, including SMS. 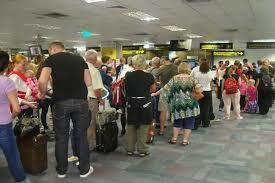 The votes are widely recognised as the largest of their kind in the Chinese travel industry. Oh man, I bet all the Phuket tuk-tuk drivers have ‘boners’ thinking about the fresh batch of suckas comin’ there way! I’ve seen SEVERAL Chinese tourists cause total havoc in hotel and restaurant toilets. I would guess the ‘bomber’ is DEFINITELY Chinese. 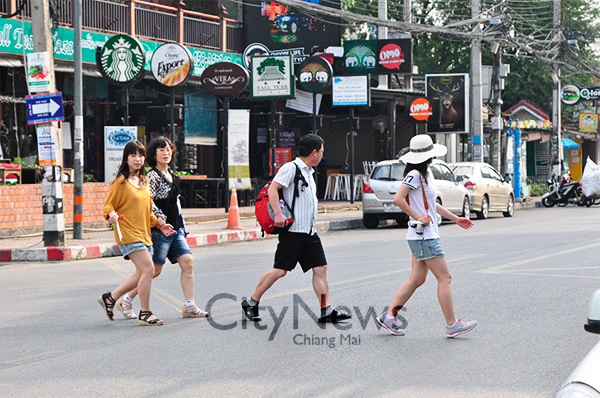 From the popularity of famous Chinese film, Lost in Thailand, lots of Chinese tourists have descended on Chiang mai.. However, recently there have been many complaints about the inappropriate behaviour of some groups of Chinese tourists who visited Chiang mai university and did not pay respect to the place. They also invaded and damaged government property and trespassed on overnight camping sites at Ang Kaew, and writing Chinese messages on the concrete floor near Angkaeo. Recently, the University has told all tourists that want to go onto the campus that they have to show their passport, ID cards, and redeem tickets to the University for the tidiness . 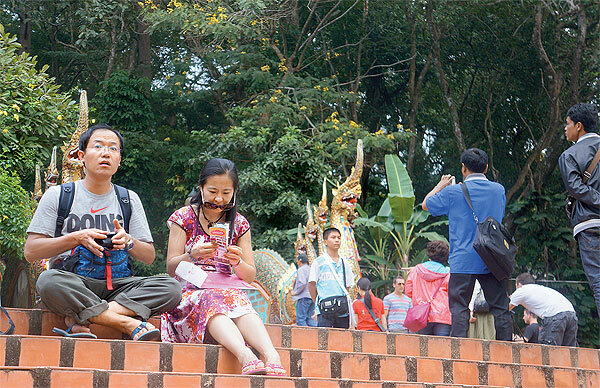 The total number of complaints reached 2,220 between February, 4-10, with 80% of the complaints about Chinese tourists posing a nuisance to the community , such as making noise, overtaking the cue, pushing other people, smoking in prohibited areas, spitting on the floor, causing disorder by not respecting the rules and regulations of the attractions ,including public Government , even in universities. 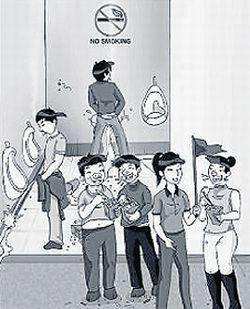 – using toilets but not cleaning it afterwards , even in public not just in hotels. This holiday season someone’s feeling the old bah, humbug! To punish others collecting visa fees from its citizens, Thailand’s government will consider ending free-on-arrival visas for people from 17 nations. The Immigration Bureau has formally requested the Foreign Ministry end the longstanding practice which provided free visas for arriving Australians, Britons, Americans, Germans, French, Swedes, Canadians, Dutch, Italians, Swiss, Danes, Finns, Norwegians, Israelis, Emiratis, Spaniards and Kiwis. Why? Thai immigration officials complain it’s unfair those nations require Thais to pay visa fees, and believe the kingdom should reciprocate in kind. Another reason to charge visa fees is the familiar “quality travelers” (yeah, like the Russians and Chinese – brilliant) argument. Fees would filter out criminals and cons seeking to conduct their nefarious deeds from Thai soil, according to immigration commissioner Lt. Gen. Panu Kerdlarpphol. Panu suggested two possible structures: A flat, THB1,000 ($30.33 USD) fee, or better yet, charge them the same as their government’s fees, which range from THB750 to THB3,900. It took a while, but Thailand’s political troubles are finally taking a bite out of its giant tourism sector, which along with the broader economy has been largely immune to the country’s periodic bouts of unrest. A million tourists—400,000 international and 600,000 domestic—have stayed home while the country has been wracked by massive street protests over the past several weeks, which coincided with the peak year-end tourism season. At around 3.20pm, there were reports that Chinese tourist Liew Hifong, 33, had drowned at Karon. Police said Mr Liew was staying at a hotel with his girlfriend. They both could NOT swim and were told by the lifeguards not to enter the water, but did so anyway. 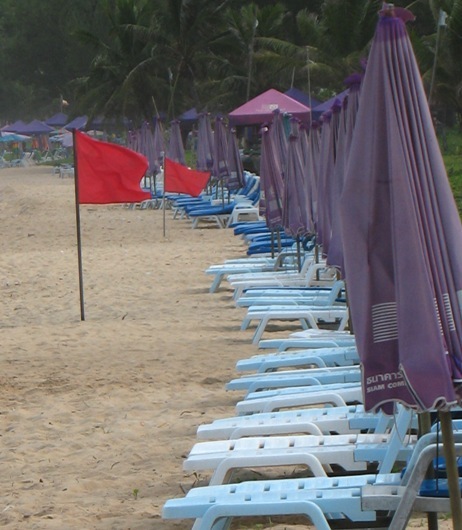 There were red flags (See Photo) along the sand, but these were ignored by the couple. The couple went into the water, but Mr Liew was pulled down under the water by the waves, and drowned. Piles of animal bones lie scattered across the table, picked clean and thoughtlessly discarded by diners. 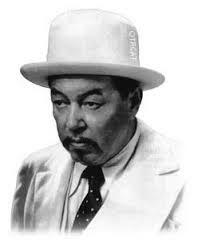 ”They swallow what they can and spit out the rest on the table. It’s disgusting. I don’t like them at all,” says Pee, owner of the well-known pork rib soup restaurant in Chiang Mai’s old town where the scene is taking place. ”They come in groups of four, but they only order one bowl of noodles and a bowl of pork rib soup to share,” he says. Wenyu Zhou, 37, moved from Shanghai to Chiang Mai recently after spending more than a decade travelling back and forth to Thailand on business and holiday. He says Thai people need to realise that some of the things they find offensive are considered perfectly normal in China. ”I know it is not good, but not flushing a toilet, for example, is a very Chinese thing. If you travel to China, even in the big cities, you will see the toilets there are not clean. This is the kind of culture they grew up with,” Mr Zhou says. “The Thai people need to realize . . .” – well, there you go. The owner of a jewellery shop near Tha Pae Gate, who preferred not to be named, said she does not consider Chinese travellers a desirable group of customers. Air China Limited, or Air China in short, will introduce a Beijing – Chiang Mai service on November 7. Want to have first-hand experiences of the charming streets depicted in “Lost in Thailand,” a 2013 Chinese box-office hit? Fly to Thailand on Air China. The Chinese government is cracking down on bad behavior abroad. Deputy Vice Premier Wang Yang announced yesterday that Chinese tourist behavior is affecting the image of China. The 64 page manifesto published this year on how to act politely the minister said should be read by anyone going abroad. – do not eat bread with one greedy bite or use loud noises when eating noodles on airplanes. – arrive at least 15 minutes to dining areas and dress politely. Chinese tourists, according to Matichon Online, has been receiving bad press aboard to the point that one French hotel which will open in 2014, has already announced that they will not accept Chinese guests. Apparently Chinese tourists to North Korea have also been criticized for their indelicate behaviour such as throwing food at children, not to mention the Egyptian incident of earlier this year. In the latest reported incident in a Hong Kong shopping mall a mother helped her child to urinate in a plastic bag. I can’t speak for the rest of Thailand, but here in Chiang Mai, the ‘liitle fu*cks’ are EVERYWHERE! Last year, Thailand received nearly 3 million Chinese tourists. 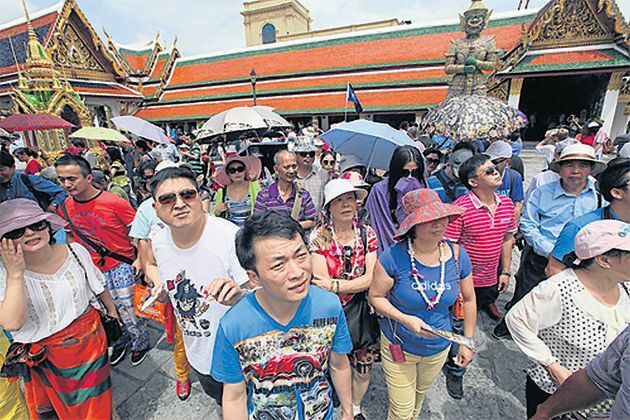 This year, up until May, more than 1.5 million Chinese made a trip to Thailand, constituting the largest number of entries from a single nation – and the number is rising. Tourists from China spend their income around the world, but can also raise eyebrows over their lack of social etiquette. Recently, a Chinese woman in Bangkok published an e-book disparaging what she sees as unacceptable behaviour of her fellow countrymen while travelling overseas. For someone to get up and write a book that calls her own countrymen “pigs”, it shows that her resentment has reached a limit. The 27-year-old, who’s now studying for an MBA at Assumption University in Bangkok, explored the world before she came to Thailand – and she usually has travelled by herself. Wei’s book, meanwhile, is written from experience. In 14 scathing chapters, it comprises her own observations as well as anecdotes from a number of people she has met and talked to throughout her extensive travels to more than 40 countries. Pigs On The Loose sheds a grim light on the behaviour of Chinese tourists in different settings and circumstances, such as in toilets, at hotels and on aeroplanes, and their reactions to local religion and food. Some of the book’s most direct attacks concern food-hoarding antics and ignorant scribbling on ancient relics, but one of the worst is probably the inconsiderate usage of public toilets. I have no question, Yunmei’s Pigs On The Loose should win a, Pulitzer.